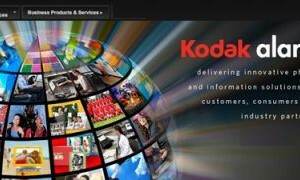 London, UK—Kodak Alaris Holdings Limited announced that Brian Larcombe, Patrick De Smedt and Steve Webster were named as nonexecutive directors of its board. 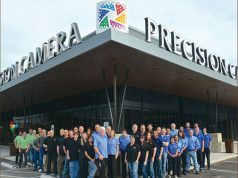 In addition, since the company’s separation from Eastman Kodak in 2013, it has continued to further its growth and expansion by adding key executive team members. James Soames, most recently with Motorola Mobility, was named the company’s first chief marketing officer, responsible for Global Brand, Marketing, PR and Communications, while John O’Reilly was appointed general counsel and company secretary, managing the legal function within Kodak Alaris. James Soames. Prior to joining Kodak Alaris, James Soames held international leadership positions, including marketing director, UK & Ireland, and director of Marketing Operations for Europe Middle East and Africa at Motorola Mobility, a Google owned company. He has worked with a range of iconic brands, including Sky, BT, 118 and Motorola, and was instrumental in the launch of transformative technology brands such as TiVo, Sky+, Sky Broadband, BT Vision and most recently Motorola’s Moto X, Moto G and Moto E smartphones. Soames will be based at the UK headquarters in Hemel Hempstead. John O’Reilly. The assistant general counsel EMEA at Parker Hannifin since 2007, O’Reilly was responsible for legal, company secretarial, compliance, mergers and acquisitions and real estate. Prior to that, he held an international legal role at Rolls-Royce plc and six years in private practice in the UK as a mergers and acquisitions lawyer. As a member of the Law Society and a law graduate of the University of Manchester, he is a qualified solicitor. His position is effective in September. He will be on the executive committee and based at the UK headquarters in Hemel Hempstead. Brian Larcombe. With a long career at 3i, a leading international private equity investor, Larcombe headed its main investment business, became CFO in 1992, and after a successful IPO on the London Stock Exchange was appointed CEO in 1997. He retired from 3i in 2004 and has since sat on the boards of many private and public companies and served on various business and educational councils. Patrick De Smedt. De Smedt was at Microsoft for 24 years, during which time he founded the Benelux subsidiaries, led the development of its Western European business and served as chairman of Microsoft for Europe, Middle East and Africa. After leaving Microsoft in 2006, he served on the boards of a number of European public and private companies. Steve Webster. A Fellow of the Institute of Chartered Accountants, Webster is currently a nonexecutive director of Aventas Group, an internationally diversified industrial manufacturing business headquartered in Ireland where he is a member of the Audit and Remuneration Committees, and a nonexecutive director of Aqualisa Group, where he is chairman of the audit committee. He has held various other nonexecutive appointments and was until recently a consulting member of the Gerson Lehrman Group Research Council.